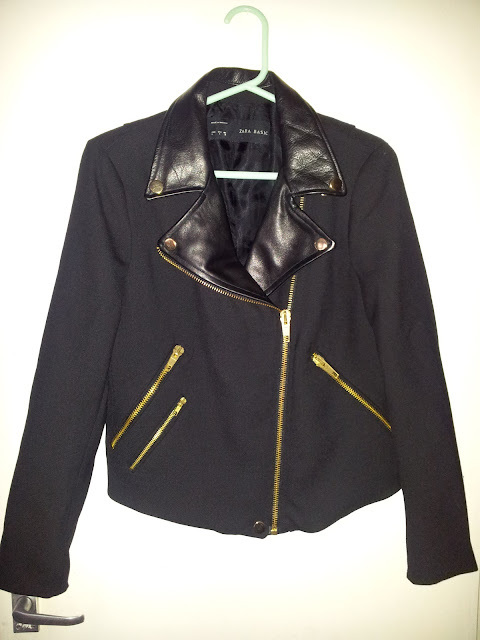 I tried on this jacket last Saturday and it was on my mind for 3 days before I took the plunge and bought the jacket. This was partially influenced by the fact that I checked the jacket online on saw that there was only size XS left! My other reason for buying the jacket (apart from actually liking it!) was that it was better to buy it, and refund it with 28 days than to just leave, decide to buy it at a later date, only to find out it was sold out everywhere, leaving me to wonder why I just didn’t buy it in the first place! It looks good on me – my mum said so! The leather lapels smell divine! The last 24 hours have been bitterly cold; is this really a jacket to be fronting in this season? So now I’m deliberating over whether to keep this beauty…..got 25 days to make my mind up! 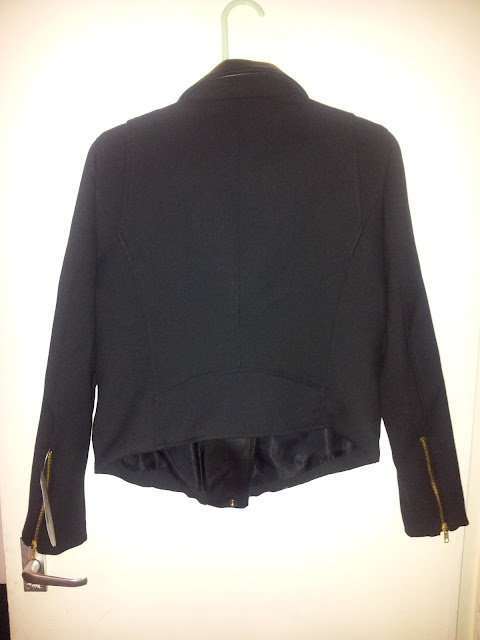 It's a beautiful jacket but whenever I question a purchase of mine to that extent,it usually means I should return it! 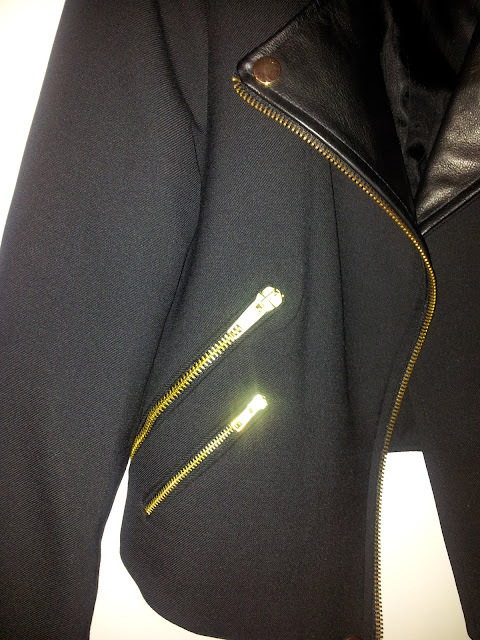 the jacket is a great but I absolutely love it, it's very cool, chic, classy & edgy! Ugh I know your dilemma, I've been meaning to buy a few Zara pieces but they're just so expensive! I'd say keep, moto jackets are a statement classic piece! This jacket is great, but I don't think it will survive the bitter cold. My friend has the same one but she is getting a winter coat in addition so.. If you can afford to buy it then keep it because it is lovely and will take you nicely into spring. I do love ZARA, but its becoming a commoner's marketplace. That jacket alone, I've seen 5 people to date with it...there will be more! Then again, its a beautiful jacket, but I agree on the weather front. I just did the same with a thin jacket from River Island. If you can layer? Do! The bit about it lasting a few years? Lets be real...the leather lepel trend is just that, a 'trend'. Who is to say it'll survive the test of time? If it were me? I'd keep it, but I wouldn't try and rationalise it cos its a passion piece, not an investment. Yay i have that jacket too lol :) ! I saw this jacket online and wanted it too! BUT I have resisted! I will live with the jacket through you, lol! Can't wait to see how you rock it! I hope you kept the jacket, its really nice! 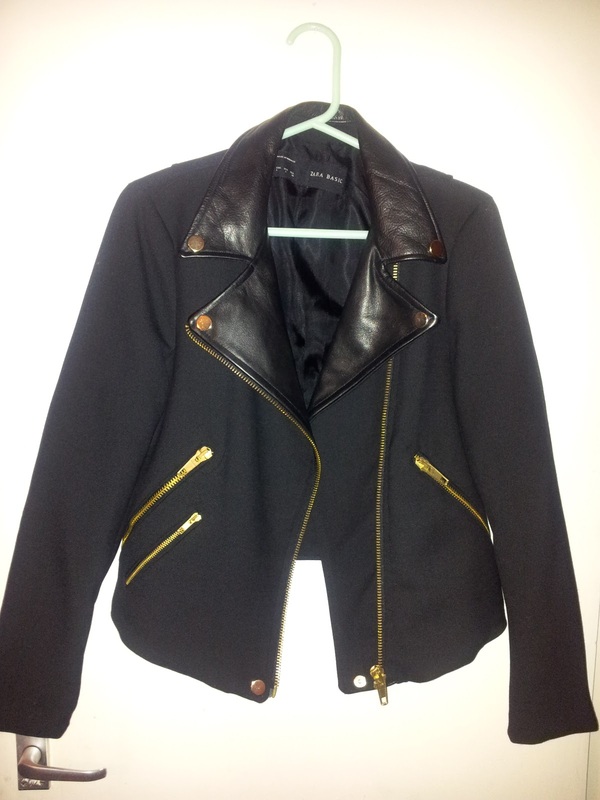 In Love with jacket, Gorge!